Open daily in the winter. Call for daily tour times. Experience a true outdoors adventure with Coldstream Adventures. Discover a different world as you travel through our groomed trails in the Truckee-Tahoe backcountry. 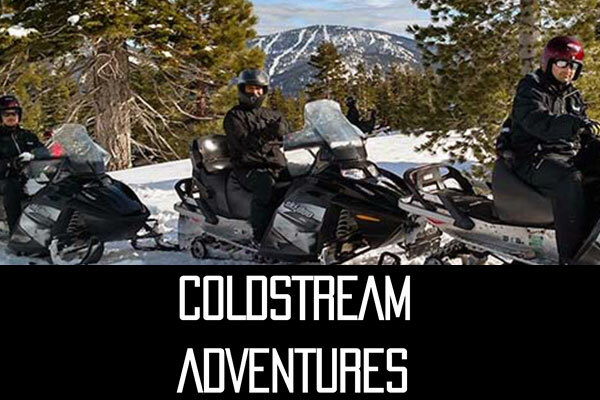 Coldstream Adventures is your ticket to amazing snowmobiling fun in the Lake Tahoe wilderness. Whether a beginner or advanced rider, Coldstream Adventures offers exciting two-hour excursions that are sure to bring smiles to everyone's faces. Beyond their regular tours they also offer excursions for corporate events, team-building exercises and wedding proposal planning. Coldstream Adventures is now operating out of our new location at 11253 Brockway Rd. 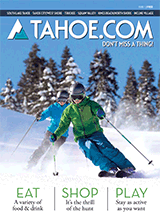 #103B, Truckee, CA 96161...providing quick access to our backcountry groomed trails. By appointment, Coldstream Adventures provides pickup and drop off services. And we now offer Tesla electric car charging stations at our new location.